In “Time Rider”, Chromatics employs the metaphor of a motorcycle as a sort of inter dimensional vehicle between the future and the past. In this dream, the motorcyclist mirrors myths of the grim reaper as Ruth Radelet eerily asks “Can I take your hand? I want to ride with you into the storm.” Life after death. Future past. Produced & Mixed By Johnny Jewel. Out now on Italians Do It Better. French duo Double Mixte bring their digital thunderstorm of neon lit noire to the Italians Do It Better family on their debut EP, out now. Mixed & produced by label head Johnny Jewel, ‘Romance Noire’ opens the door to a new wave of Italians Do It Better artists coming in 2019. Fresh Blood. New Tears. Double Mixte formed when Clara Apolit & Thomas Maan met in Paris, and there was an immediate pull to create music together. They pooled their combined interest in powerful narrative and dark 70’s French film music to write lyrically vivid songs. In 2017, Thomas reached out to Johnny Jewel for what soon became a collaboration that expanded their vision into a haunting debut EP. The title track arpeggiates & boils as waves of bass flow beneath. Rhythms are carried to the ceiling by a searing cascade of disintegrating color. A heavy backbeat anchors Thomas Maan and Clara Apolit’s poetry, ready to wear for a night in the face of oblivion. The cinematic “Arlette” is a call for discovery through a darkness lit only by the glare of headlights in digital rain. Through all of this, Thomas Maan’s incantations search for the lonely, lost in the void of electronic fog. “November” finds in Clara an Anglophonic chanteuse, meditating on the cycles of time. A blend of suspended sound & an uncertain melody contracts & expands before dissolving. ‘Romance Noire’ is art that both contemplates and transcends time’s firm grip. It’s a filmic journey inducing a vague sense of future nostalgia. New video for Farah’s The Only Ones on Italians Do It Better. Taken from The Original Motion Picture Soundtrack “Don’t Come Back From The Moon” by JOHNNY JEWEL, released by Italians Do It Better. Italians Do It Better trio Desire, made up of vocalist Megan Louise, producer Johnny Jewel & Chromatics’ member Nat Walker, are sharing their first new single in nine years with new track “Tears From Heaven”, which is available across all digital platforms today. The single premiered last week on the Spring Summer 2019 Chanel runway in Paris, which you can view here, and is the first glimpse of Desire’s new album, which is expected to be released next year. Johnny Jewel met Megan Louise in the late 00’s in Montreal and formed Desire with Chromatics/ Symmetry’s Nat Walker on drums & synthesiser. The band released their debut self-titled album in 2009 to critical acclaim and in 2011 their song “Under Your Spell” soundtracked the film Drive, which starred Ryan Gosling & Carey Mulligan. 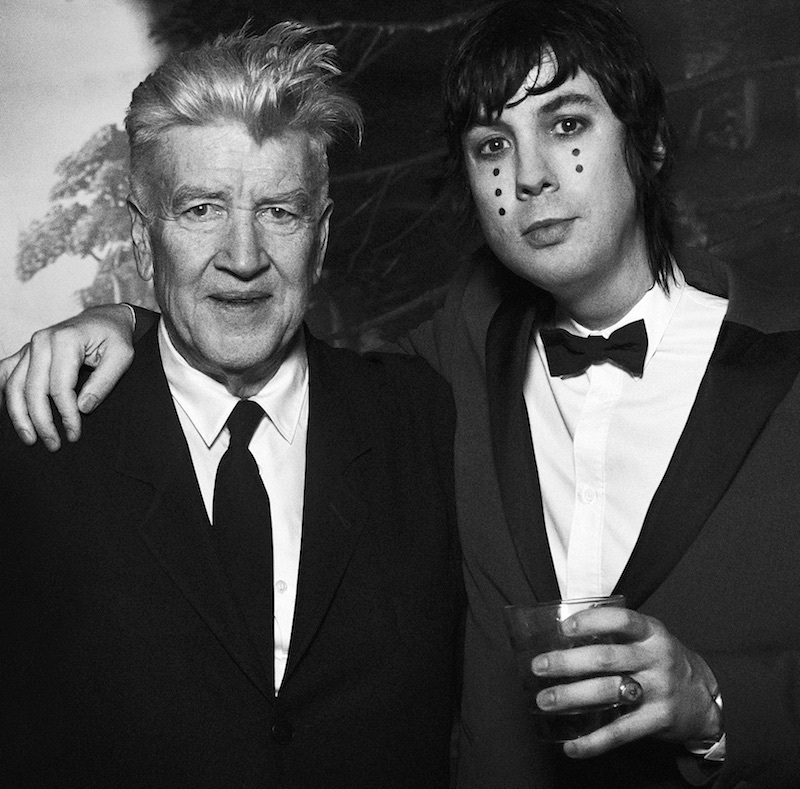 Johnny Jewel has released a surprise LP Themes For Television online. The LP is set for physical release on June 29th (UK) via Italians Do It Better. You can stream the album in full here & also watch a new video for album track “Red Door”. Today Portland-based four piece Chromatics, made up of Ruth Radelet, Johnny Jewel, Adam Miller & Nat Walker, share new track & video “Black Walls” and confirm their fifth studio album, ‘Dear Tommy’, is due out in autumn 2018 via Italians Do It Better. More information to come soon.